For the past two years I’ve been running a demo site, called the Paragon Coffeehouse. With the official release of Sitecore Experience Platform (XP) 9, I realized it was time for an upgrade. The Coffeehouse site was built on MVC but before Helix was the best practice for Sitecore site development, so I was hesitant to just upgrade my code references and run the upgrade package. So instead I thought about how I might as well take this opportunity to refresh the site with a new build. Given a mixture of needs as well as for curiosity sake, I’ve decided that this re-build would be done on Sitecore Experience Accelerator (SXA). SXA was a highly talked about feature at the Sitecore Symposium 2016 as a new offering with the release of Sitecore 8.1. The biggest downside at the time I felt was the extreme additional cost in licensing for a customer, so I never heavily researched it as an alternative. The change to licensing structure with Sitecore XP 9 allows this module to be included by default allowing for it to be a true alternative for site builds. The idea behind SXA is to provide a speed to market approach to a site build leveraging a collection of pre-built components and providing a way to extend and style (or theme) them as needed by the organization. Where to Start, how about installing…..
Once this has been installed via the package manager, download and install the SXA package from dev.sitecore.net. If you are installing in a more production ready scenario, where CM is separated from the CD, be sure to follow the additional configuration steps in the SXA 1.6 Installation Guide. Which boils down to coping some files manually to each CD server to support SXA. SXA is built around the idea of a single install that can support many URL scenarios, while providing a consistent editing experience, shared content resources, and shared/unique security. To allow for this type of separation and sharing SXA resolves around the ideas of tenants and sites. Tenant is a collection of sites. All sites within a tenant can share assets (this include themes, data/content, page designs, partial designs, and composite renderings). Sharing across tenants is not possible. Sites is a collection of pages that are referenced/visited by a unique URL. A site can have many URLs associated to it (i.e. ways to visit) but each URL can only point/references ONE site. Within my ‘Paragon Coffeehouse’ tenant folder, I can add further folder structure or begin creating tenant collections. I’ll create two tenants. The first will be called ‘The Coffeehouse’ which will house the main site that will eventually move into production, to support learning and experimentation I’ll also create a tenant called ‘Coffeehouse Experiment’. As part of the tenant creation process, the name this item modal looks a bit different, from here you can choose the different features of SXA for any site housed as part of the tenant. A tenant contains three sections of fields which unless for very specific business reasons should not be changed. Security allows for the designation of a specific user domain users must belong to access, this shouldn’t be manipulated manually but instead via a context menu command ‘Setup Security’ see instructions on Sitecore Document site. Once we have our tenant defined and created, we can begin adding sites. This is as easy as a right click Insert, as well. Followed by a setup modal allowing additional configuration steps to be taken of your site, split over four tabs. On the General tab you assign the Site name (#1) and most importantly the URL that will serve-up the content in ‘Host Name’ (#2). The next tab Features allows for the designation of specific SXA site level features that will be available for your site. Outside of a very specific micro-site scenario all these options should be left selected to maximize creative freedom (#3). The next two tabs relate to the styling/design aspects of the site. The Theme tab provides the opportunity to set the default theme for the site from the existing themes (#2) as well as the creation of a new one (#1). The Grid tab allows you to select from one of the foundational CSS frameworks used by the site, the options available are Bootstrap, Foundation, and Grid960. After creating the second test site our Content Tree looks like the following and supports two unique URLs without ever editing configuration files…. Before we can dig into the script and creating Helix based solutions and modules, I want to reference some basic principles from the Helix documentation. A Module is a conceptual grouping of assets which relates to a business requirement. For example, when the company asks that their Sitecore solution contains website search, all assets, business logic and configuration relating to search belongs to the Search module. In technical terms, project often refers to Visual Studio project, but conceptually can also to the process of implementing the business requirements into an implementation. 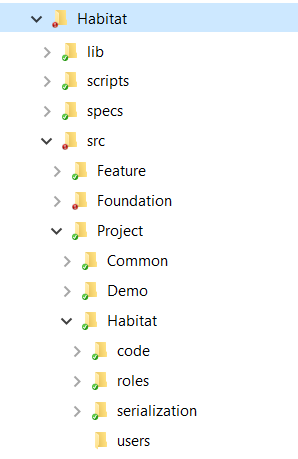 In the Helix documentation, (and a review of the sample Habitat site) one will find a very specific recommended (if not expected) layout and naming of folders both in the Visual Studio Solution as well as the file system. The uniqueness of this ‘recommended’ layout makes the initial setup of a solution very time consuming and increasingly error prone when you start to deal with adding modules at the different layers. 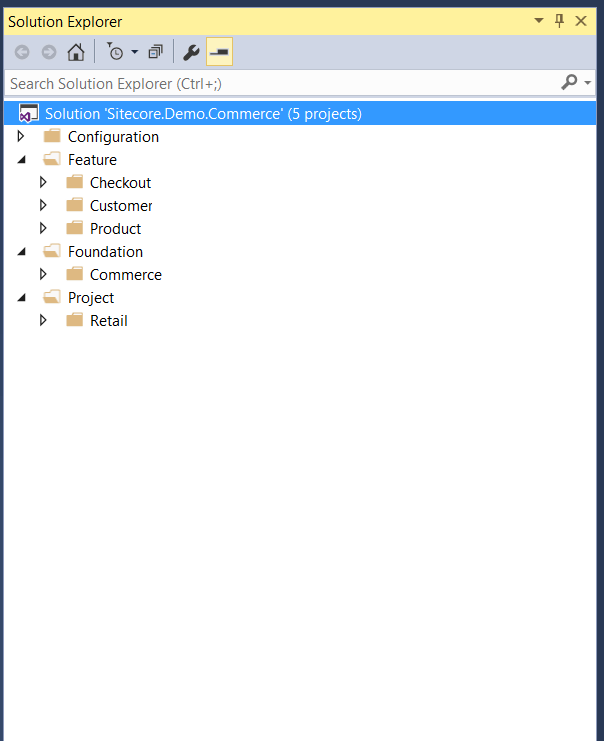 The following two images, taken from the Helix documentation show what the Visual Studio Solution and corresponding file system begin to look like. Enough with the intro stuff and into the meat of what you’ve come looking for…a script to ease your Helix headaches and focus on the fun of implementing solutions. TheCodeAttic.Helix.ProjectCreator can be pulled from GitHub at https://github.com/gillissm/TheCodeAttic.Helix.PowerShellProjectCreator. Open PowerShell command prompt as Admin. (Invoke-WebRequest -UseBasicParsing -Uri https://raw.githubusercontent.com/gillissm/TheCodeAttic.Helix.PowerShellProjectCreator/master/ProjectCreatorEasyInstall.ps1).Content | Out-File "ProjectCreatorEasyInstall.ps1"
Now go implement some awesome Sitecore solutions! Download from the GitHub repository to your local system in the manner that suits your workflow the best. Go write some Sitecore code!!!! This article was originally posted in its entirety on the Paragon Blog here: http://www.paragon-inc.com/blog/sitecore-9-install-the-easy-way. You’ve either arrived because you made it through the full series or a quick google landed you here as you where looking for a quick and easy Sitecore XP 9 install. Most of the following was taken from the Sitecore Installation Guide but is a little buried in all the documentation, so this will be a long term refernece for myself, my teams, and now you! (Invoke-WebRequest https://gist.githubusercontent.com/gillissm/1a3d826e6287e4cd106acea941748643/raw/c59dd9cef02d7e4adec1a90188d099948af43662/SitecoreEasyInstall.ps1).Content | Out-File "SitecoreEasyInstall.ps1"
Open SitecoreEasyInstall.ps1 in your favorite editor (my recommendation is to open the entire working directory in Visual Studio Code). The first section of the file are global parameters that will define how your environment is configured and installed so update accordingly based on the instructions. At a minimum all values in the ‘CUSTOM TO THE ENVIRONMENT’ section should be completed. Enjoy Sitecore Experience Platform 9!! !